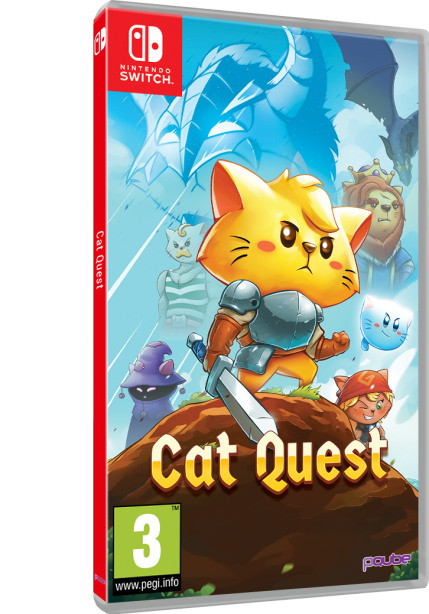 A physical Nintendo Switch edition of last year's Cat Quest is now available to buy in Europe. North America will also follow suit very soon. Focusing on real-time hack ‘n' slash combat, sweet loot, and a whole lot of cat puns - excellent! 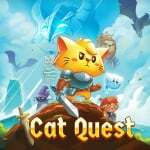 - Cat Quest is an isometric open world 2D action-RPG full of colour and playful adventure. The game is set in the world of Felingard, and sends you on an epic journey to defeat Drakoth - an evil cat-lord who destroyed your boat and catnapped your sister. He is as pawerful as he is meowsterious, and in order to rescue your sister, you must realise your destiny as the last of the Dragonblood, a long-lost race of dragon-slaying cats. If this all sounds like a purrfect adventure for you, feel free to check out our review of the game for more info. We gave it a very solid 7/10, praising its user-friendly approach. "Cat Quest is a very user-friendly role-playing game. There are no overly complicated levelling, loot or progression systems – making it a great entry point for anyone who is new to this genre. Despite the simplistic design, it still offers potentially hours of entertainment." If you'd like to try this game out for size, and just so happen to be a sucker for a lovely looking physical box like us, you can get the game right now from Amazon UK for £24.99. As we noted above, North American customers should start to see the game appear on store shelves from 11th September. Will you be treating yourself to this one? Have you already purchased the game digitally? Tell us below. 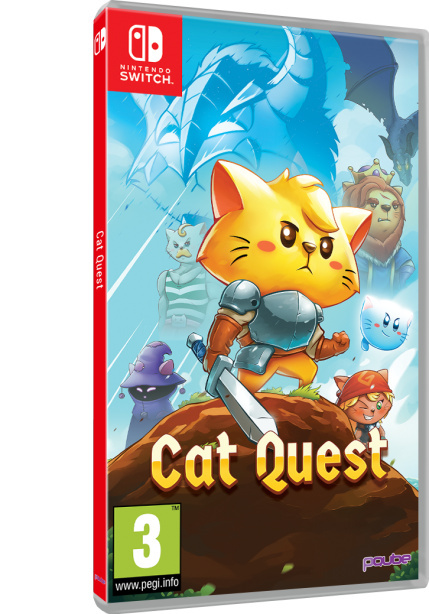 This is not to be confused with the game: Kitten Quest, which is also on the eshop. That’s a free game, but the real cost is that you have to deal with it being loaded with PETA’s messaging. I got this. It was fun but man did it have some serious hitching issues that made it really bad at times. I still beat it but did they ever resolve these? It's less than half the price on PS4! I'm only getting this game in a decent sale as am pretty sure it's not worth buying at full price. I started playing this game last week and love it so much I might pick up the cart. Heard good stuff about this, might pick this up once I got through with all the other RPGs I was suppose to get this year. Normally I'd be super happy to get physical for something like this, but....dang it's more than double the price! was excited about this until i saw the price, more than double, I will pass. Maybe if they include Cat Quest 2 for free whenever that gets released, but otherwise no. You can get this game way cheaper if you just download it. I enjoyed this game & beat it, but I never finished all the side quests. I liked this game a lot. Spent about 20 hours on it with side quests and such. I read the scoring article. As if I am going to waste my precious time on a garbage 7/10, what do you think this is? All copies should obviously be buried like ET was.